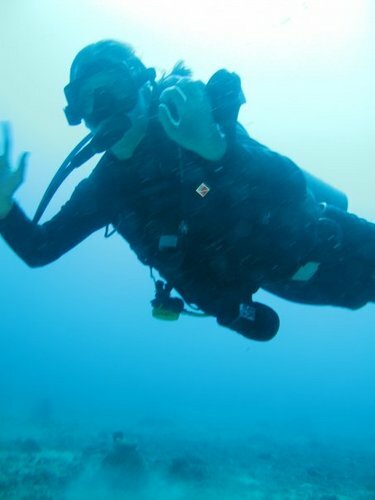 Melissa Giresi is currently a PhD candidate in the Department of Biology at Texas A&M University interested in using genetic methods to assess population structure, connectivity and biodiversity of exploited marine fishes and invertebrates. For her dissertation, she is testing the null hypothesis that the dusky smoothhound shark, Mustelus canis, is a single genetically-panmictic population in U.S. waters and utilizing molecular and morphological markers to assess how many smoothhound species are present in the Gulf of Mexico. She is also involved with projects to investigate population connectivity in fine tooth sharks, black nose sharks, cobia, and amberjack. On Thursday, I tweeted “Name the most influential female ecologist (alive today) that you can think of.” After it was re-tweeted by several of my much more twitter-savvy colleagues and friends, I received an overwhelming number of responses. In retrospect, I should have created a hashtag to keep track of the responses. Forty-five influential female ecologists were named in this search, some of whom responded to the question themselves, naming their colleagues (but never naming themselves). The most influential female ecologists (alive today) according to the twitter-verse are listed in the table below in alphabetical order by last name. The accomplishments of the women on this list are incredible and innumerable. This list includes a the former NOAA Administrator, former president of the Ecological Society of America, a Laureate for the Tyler Prize in Environmental Achievement, Time Magazine’s Hero for the planet, a member of the National Women’s Hall of Fame, several members of the National Academy of Sciences, and winners of the Emminent Ecologist Award and the Hubbard Award, just to mention a few. The women on this list include paleoecologists, entomologists, icthyologists, soil biologists, microbial ecologists, fungal ecologists, wetland ecologists, community ecologists, climate change ecologists, landscape ecologists, phylogeneticists, population geneticists, and anthropologists. Their work spans from studying hydrothermal vents in the abysmal ocean to characterizing communities in rainforest canopies; from examining methods of pre-copulatory sexual selection to determining mechanisms of speciation; from examining community structure on small scales to characterizing effects of climate change on biodiversity on global scales. The ability to communicate scientific information to the public is a difficult task, one in which all of these women have successfully done. Many of the women on this list have been featured in prominent media outlets, such as TED Talks, episodes of the Colbert Report and on the Scientific American Blog. The women on this list serve as role models for young ecologists. If you think anyone was left off this list, please suggest a name in the comments. Can Shark Week do more for its female viewers? Two that come to mind immediately for me. Whoops – that should have been Emma Johnston. Could we please stop putting gender in front of occupation descriptions? Could you please add Twitter usernames to make it easy to follow these great women? Thanks. Given the societal and systemic marginalization and exclusion of women in all areas and at all levels of STEM careers, which I have written about numerous times (but probably most comprehensively here http://www.dailydot.com/opinion/childrens-place-sexist-t-shirts/ ), I don’t think there’s anything at all demeaning, or creepy, about a list that proves how successful women can be in the field despite all the odds stacked against them. I am happy to see this list and I hope that it will be inspirational to young women and girls who are thinking about pursuing careers in ecology themselves. They need all the encouragement they can get. The intent of asking the question of ‘Who is the most influential female ecologist you can think of who is alive today’ was to bring out the fact that there are many influential female ecologists. If you have been any scientific conference or symposium, you would notice that most of the speakers are male. This phenomenon is caused by bias. When you read textbooks about ecology, most are written by men, examples that are shown in classes are mostly experiments performed by men. It’s often difficult to break the cycle of repeating the same names that you’ve heard of in the past – I wanted to highlight the fact that there are many successful and influential female ecologists. This isn’t an issue of sexism – it’s a way to open a discussion about the fact that there are many amazing female ecologists and to open dialog into how we can better represent them. Note also, that this blog was posted because people were interested to see the responses that I received by asking the question. My original intent was to see what names popped up and why they those women were considered influential. Surprisingly (and to my delight) this blog has opened up numerous dialogs regarding successful female ecologists on a global scale. Many of the women on this list have made suggestions of other women who should be represented. Agreed, all successful ecologists should be ‘lumped’ into one group, but the goal here is to highlight the achievements of women who are making waves and setting the standards in different fields of ecology. I am certain that if I asked the question of ‘Who is the most influential ecologist you can think of who is alive today?’ last Wednesday, I would have gotten a list made up mostly of men because of educational and institutional bias, whereas because this dialog has begun, the list that I would glean by asking the question today would be much different. Karen Bjorndal, a Distinguished Professor at the University of Florida. She studies nutritional ecology and the biology of sea turtles. She was a student of Dr. Archie Carr, the father of sea turtle biology, and has mentored numerous students, given us impressive insights into the foraging ecology and the “lost years” of sea turtles. Ruth Shaw, University of Minnesota. 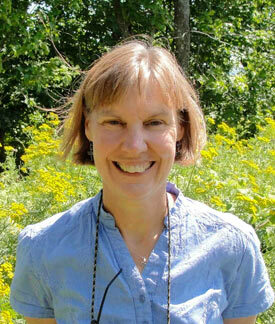 She is a fantastic speaker and has done wonderful work on the ecology and evolution of fragmented prairie habitats. and would also add Lisa Levin from SIO. Claire Kremen, UC Berkeley. MacArthur Genius Fellow. Pollination expert. One of the top 50 ECOLOGISTS (of either gender–sheesh) out there. Frances James, Florida State University. First female president of the American Ornithological Union, influences many young scientists, and my mother! 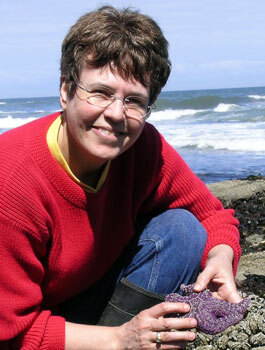 Jullia K. Parrish – University of Washington professor of aquatic and fishery sciences and associate dean of the College of the Environment. She was also one of 12 “champions of change” invited to he White House to share her ideas on public engagement in science (citizen science) and science literacy.